Summer has arrived in Tennessee — it’s sunny, it’s humid, and it’s predicted to be over 90 degrees every day for the foreseeable future. Even though lots of people loathe hot weather like this, I actually don’t mind it. As long as I have access to plenty of shade, some air conditioning, and cool beverages, I feel pretty comfortable. And steamy weather like this always inspires me to try out some new refreshing drink recipes — like this spritzer, with pineapple juice, lime juice, coconut water, + sparkling water. This drink was super delicious, incredibly refreshing, and so easy to make. A little tart, a little citrusy, a little sweet, and unbelievably satisfying on a hot day. It’s definitely going to be my go-to drink for summer parties and cookouts this year! I love that it has a slightly fancy taste + look that makes it perfect for parties, but it truly is no more difficult to make than a pitcher of lemonade. It is fantastic just as written, and it would be excellent with a splash of rum added, if you’re wanting something a little more decadent. So, if you’re looking to jazz up the drink menu at your next summer cookout, give this simple, wonderful spritzer a try! Combine the pineapple juice, coconut water, and lime juice in a large pitcher. Chill for 30 minutes or up to 12 hours. Just before serving, add the club soda/sparkling water. Divide between 8 glasses, and serve over ice. 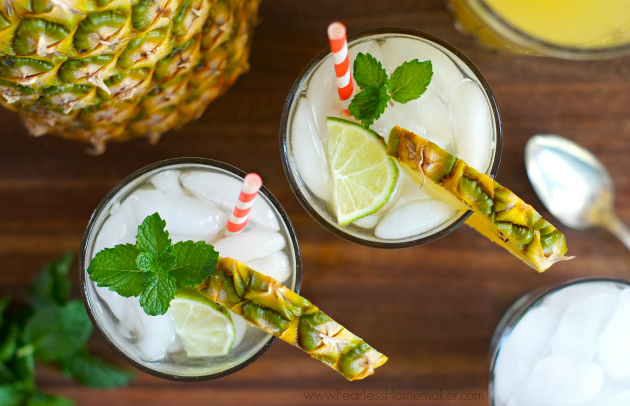 Garnish with a pineapple wedge, lime wedge + mint leaves, if desired. 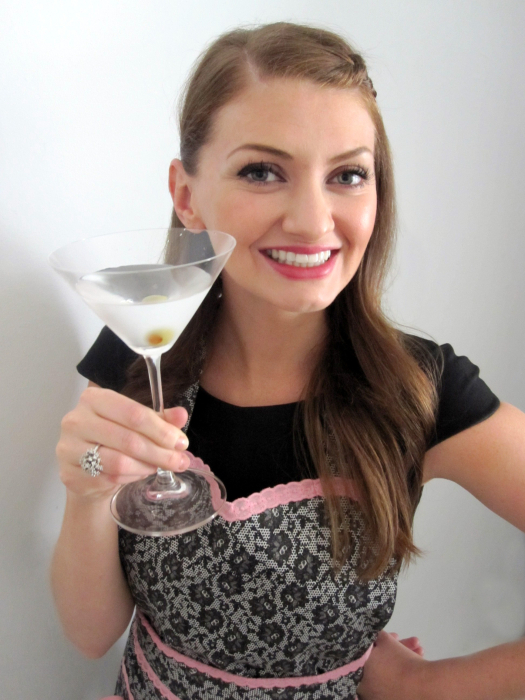 This sounds really great Amy – so refreshing and delicious! I’m always on the look out for fancy summer drinks and this fits the bill perfectly. While I couldn’t wait to get away from the TN heat I am in love with coconut water and need this drink in my life! It was in the 90s here in Ohio last week though so definitely need something to cool down with. I’ll take hot weather over cold ANYTIME. This drink sounds amazing, perfectly refreshing for the heat wave! It’s been hot and humid where I am this week and this spritzer would be the perfect way to cool off! 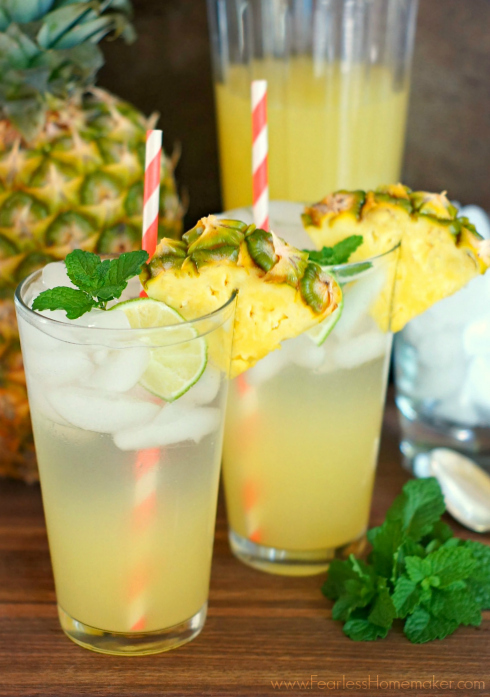 I love the pineapple, lime and coconut combo! It looks o refreshing and delicious! Sounds refreshing! Pineapple anything sounds good to me. what a perfect drink for this weather! love it! It sounds delicious, and so refreshing. I’d like it exactly the way it is! Amazing! 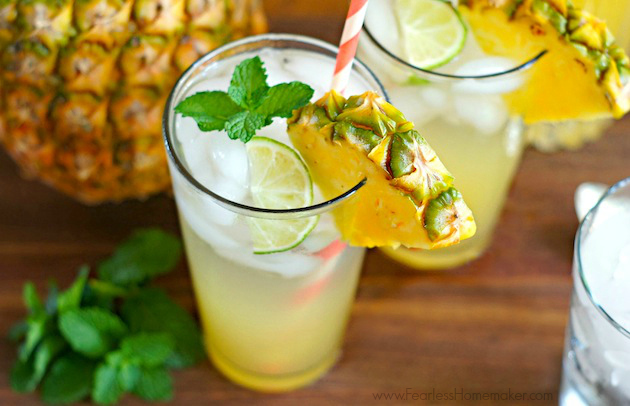 So refreshing and just perfect for sunny days! What a lovely and refreshing drink for a summer day! I’d like to sip this on a porch (in some shade) on a hot day. Though, it’s not hot where I live. But I would love to have this summer drink anytime! Looks and sounds incredible, Amy!